These highly intelligent birds live in family groups of 30 to 40 individuals. 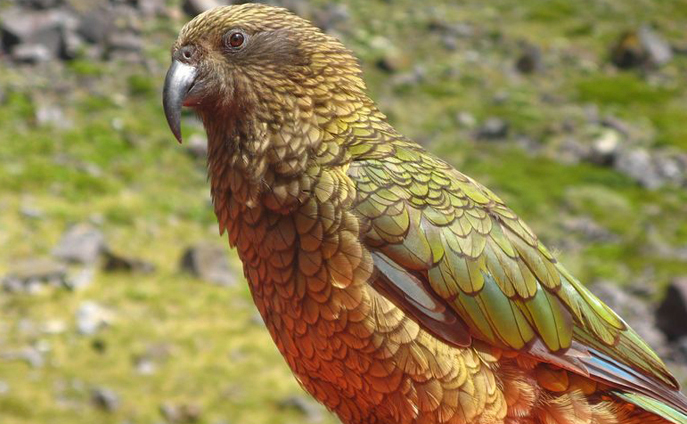 Although kea usually eat plant material, they are opportunistic omnivores that also feed on insects, rodents, lizards, sea-bird chicks, and sheep carcasses. Kea forage in the morning and evening, and roost mid-day and at night. They are only found in the mountains of South Island, New Zealand.